Sheepskin rugs look great in all types of room settings and home décor. They are warm, cosy and heaven for your feet. Sheepskin rugs generally stand out from the crowd, hence they never go out of fashion. Their shapes also add to their charm and beauty. Children love them as they are soft and lustrous. Placing a sheepskin rug on the floor is sure fire way to draw attention to that part of the room. They just can’t go unnoticed. If you wish to create a striking focal point in your room then a sheepskin rug is a great option. Sitting on a sheepskin rug brings in a feeling of luxury and opulence. 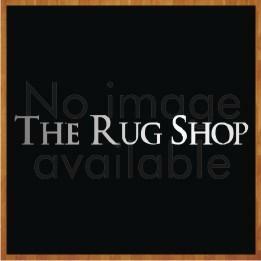 They are among the most comfortable rugs you will ever find. Our faux sheepskin rugs are produced from synthetic materials. The look, shape and texture are very similar to natural sheepskin and they are warm and insulating. Sheepskin rugs are suited to those cold winter days. At www.therugshopuk.co.uk we understand the desirability of having a sheepskin rug as a part of your home décor. We bring to your our extensive faux sheepskin range from the best suppliers from across the globe. Select from wide variety of natural colour combination and sizes to add a bit of accent to your home décor. The price generally depends on the shape and size of the faux sheepskin rug. Faux sheepskin rugs are definitely fashionable as they are comfortable and warm floor decorations that highlight elegance and beauty in a room. Our faux sheepskin rugs will look great in your room, wherever you choose to place one. They may look elegant, classic and expensive but they are also affordable.You don’t need to have tons of money just to buy a faux sheepskin rug from us because of our price guarantee. So why not enjoy the benefits of having one now?